Auckland is the main gateway into New Zealand with an international aiport. The city is home to all the major hotel chains, many of which have the capability to host small to large scale conferences and events. 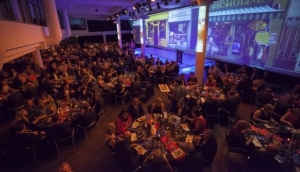 The Auckland Event Centre is situated in Wynyard Quarter and plays shost to many of New Zealand's major events. There are number of sports venues such as Eden Park, home to the Rugby World Cup in 2011, Ellerslie Race Course, North Harbour Stadium and Alexandra Park, all capable of large scale conferences. Other Auckland conference venues include the Vector Arena, many of the city's leading attractions, the huge choice of golf courses and the major museums. Auckland has many professional event management companies who can arrange every detail of your event. They can take you around different venues, like a realtor would a selection of houses, until you find the one you want. Then they can arrange catering, flowers, music, entertainment, anything you need. Auckland also has the infrastructure for you to arrange individual services separately. Most places will have their own planners, too, who know what will and will not work in your chosen venue, so make use of their knowledge.